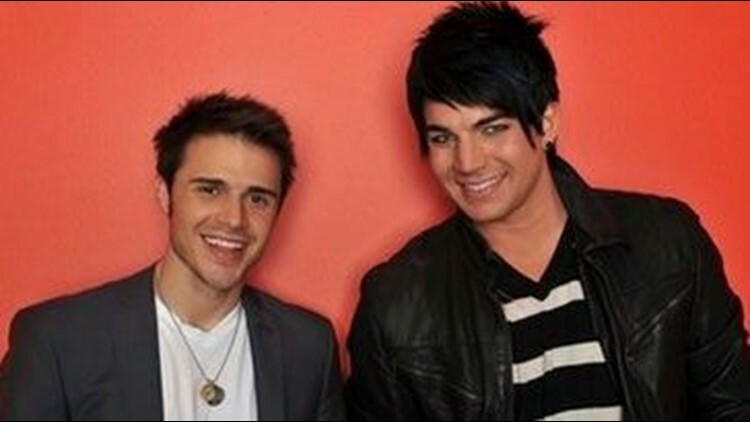 "American Idol" finalists Kris Allen and Adam Lambert don't want to get personal. The singers told a throng of media gathered Monday outside the Nokia Theatre, where the duo will duke it out during the show's two-night finale on Tuesday and Wednesday, that they hope viewers will base their votes for the next "Idol" on performance alone. "For me, I hope that having the Christian vote doesn't help with anything," said Allen, a 23-year-old college student who has worked as a worship leader at the New Life Church in his hometown of Conway, Ark. "I hope it has to do with your talent and the performance that you give and the package that you have. It's not about religion and all that kind of stuff." Lambert, a 27-year-old theater actor from San Diego who once worked in the Los Angeles cast of "Wicked," heartily agreed. He said he does not think the contest "has anything to do with your religious background, what color you are, your gender. It doesn't have anything to do with that. It's about music. That's really important to keep in mind." The pair are scheduled to be joined on Wednesday's finale by Lionel Richie, Carlos Santana, Cyndi Lauper, Queen Latifah, Black Eyed Peas, Keith Urban, Jason Mraz and previous "Idol" winner David Cook. Allen teased that they may duet with some of those artists on Wednesday - but neither finalist would reveal any details about their finale performances. "They're good songs," said Lambert. "I think everyone will like them." To prepare for the two-night finale, Allen said he's been saving his voice by texting instead of talking while Lambert plans to order a "really big room service breakfast" on Tuesday morning. Both singers said they have become friends and felt like they have already won the popular Fox singing competition, pledging to support each other's music in the future. "I know I'm going to be first in line to buy his album," gushed Lambert. "Same here," added Allen. "Maybe you'll give it to me." "You don't have to buy it," teased Lambert. "I'll send you a copy."